All product names and logos displayed and used on this web-site are trademarks and/or service marks of their respective owners. 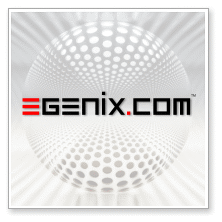 Use of eGenix.com trademarks or service marks without written prior permission from eGenix.com is not permitted. Please contact eGenix.com for questions. "Python" is a trademark of the Python Software Foundation, USA. "Zope" is a trademark of Zope Corporation, USA. "Plone" is a trademark of the Plone Foundation, USA. "Django" is a trademark of the Django Software Foundation, USA. "IBM" is a trademark of International Business Machines Corporation, USA. "Oracle" is a trademark of Oracle Corporation, USA. "Sybase" is a trademark of Sybase Inc., USA. "Microsoft" is a trademark of Microsoft Corporation, USA. "Solaris" is a trademark of Sun Microsystem Inc., USA. All other product names and logos displayed and used on this website and in associated files are trademarks and/or service marks of their respective owners.